Throughout my life, I’ve been more of a fan of performing in stage musicals than seeing them. But since my wife wanted to see a show for her birthday this year, I was just happy that she had to pick something other than Rent, which we saw three times in a row over the course of about five years. 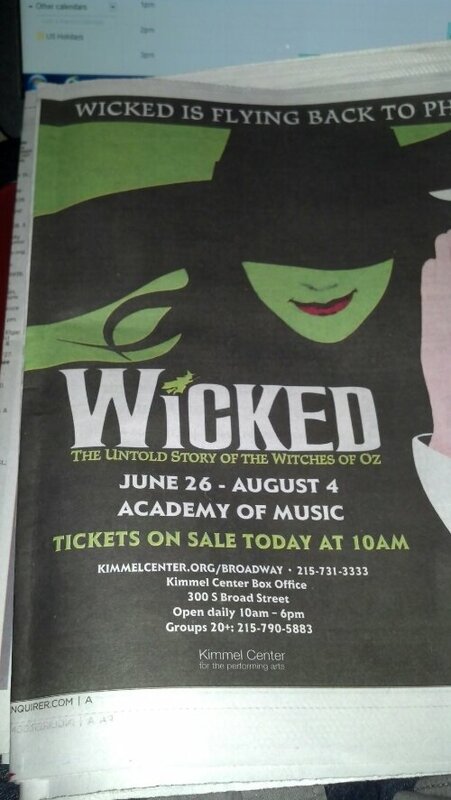 So Wicked it shall be, and we get to enjoy it with our 9-year-old son and my sister and brother-in-law, too. And I feel pretty sure (and am exceptionally excited by the prospect) that no one in this show will be a heroin addict or suffering from AIDS. The day’s not over my friend.